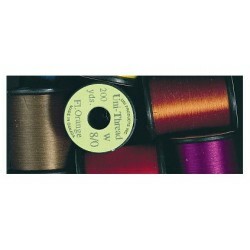 We carry the full colour range of popular fly tying threads including Uni-thread 6/0 and 8/0, Danvilles, kevlar thread and more. 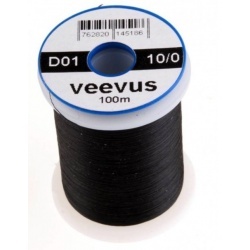 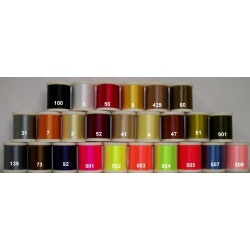 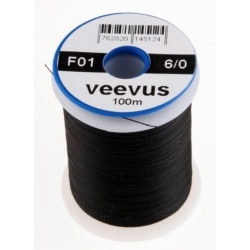 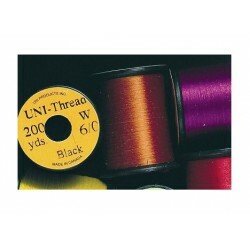 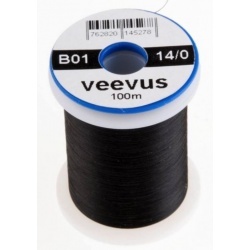 We also carry the full range of Veevus threads from 8/0 to 14/0. 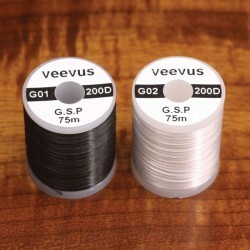 Hook bending strength G.S.P (Gel Spun Polyethylene) is by far the strongest thread on the planet. 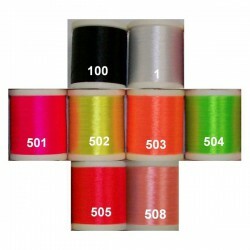 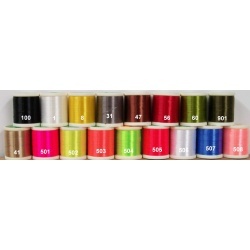 The prefered thread for glo bugs and large streamers. 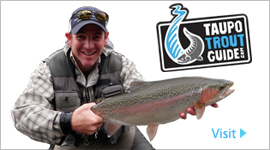 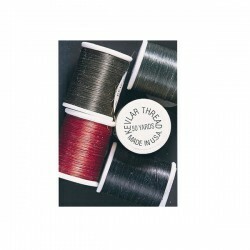 Salt water fly tying thread, strong and durable. 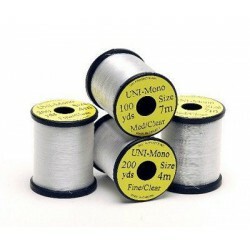 Great for Salt water flies.